Production has commenced at Pinewood Studios outside London on Disney’s “The One and Only Ivan,” a live-action/CG hybrid adaptation of the children’s book by Katherine Applegate. Directed by Thea Sharrock (“Me before You”), the screenplay is by two-time Independent Spirit Award winner Mike White (“Pitch Perfect 3,” “The School of Rock”) based on Applegate’s award-winning book. The producers are Oscar winner Angelina Jolie (“First They Killed My Father,” “Maleficent”), the late Allison Shearmur (“Solo: A Star Wars Story,” “Cinderella”) and Brigham Taylor (“Christopher Robin,” “The Jungle Book”). “The One and Only Ivan” stars Academy Award nominee and four-time Emmy winner Bryan Cranston (“Trumbo,” “Breaking Bad”); Ramon Rodriquez (“Iron Fist,” “The Defenders”); Arianna Greenblatt (“A Bad Moms Christmas”); Indira Varma (“Patrick Melrose,” “Exodus: Gods and Kings”) and Eleanor Matsuura (“Wonder Woman,” “Sherlock”). The film features the vocal talents of Angelina Jolie, Academy Award winner Sam Rockwell (“Three Billboards Outside Ebbing, Missouri,” “Moon”) and Brooklynn Prince (“The Florida Project”). Oscar winner Helen Mirren (“Winchester,” “The Queen”) and Emmy and Golden Globe winner Danny DeVito (“Dumbo,” “It’s Always Sunny in Philadelphia”) also have signed on to voice characters in the film. Based on the true story of a uniquely-talented gorilla and the other animals who share a communal habitat at a suburban shopping mall, “The One and Only Ivan” is an unforgettable tale about the beauty of friendship, the power of visualization and the significance of the place we call home. Applegate’s book, a No. 1 New York Times’ bestseller, has won numerous awards, including the 2013 Newberry Medal for the most distinguished contribution to American literature for children. Imogen Poots and Jesse Eisenberg are set to star in “Vivarium,” a science-fiction thriller directed by Lorcan Finnegan. XYZ Films will be selling the film in Cannes ahead of a July start of production in Ireland. Poots (“Green Room”) will play a young woman who, along with her fiancé (Eisenberg, “The Social Network”) is in search of the perfect starter home. After following a mysterious real estate agent to a new housing development, the couple finds themselves trapped in a maze of identical houses and forced to raise an otherworldly child. Fantastic Films’ Brendan McCarthy and John McDonnell will produce in co-production with Belgium’s Frakas Productions and Denmark’s PingPong Film, with XYZ executive producing and handling global sales. Poots recently starred in Jamie Dagg’s “Sweet Virginia.” She’ll next be seen in “The Art of Self-Defense,” which also stars Eisenberg and Alessandro Nivola (“Disobedience”). Finnegan burst onto the film scene in 2016 with his debut feature “Without Name,” an ecological horror-thriller that premiered at the Toronto International Film Festival. XYZ also handled North American sales on that film. RLJE Films, a brand of RLJ Entertainment, has acquired all North American rights to the film “Arizona,” which premiered at this year’s Sundance Film Festival. The directorial debut of Jonathan Watson (HBO’s “Vice Principals”), the film was written by Luke Del Tredici (Fox’s “Brooklyn Nine-Nine”). Arizona stars Danny McBride (“Pineapple Express”), Rosemarie DeWitt (“Poltergeist”), Luke Wilson (“Idiocracy”), Elizabeth Gillies (CW’s “Dynasty”) and Kaitlin Olson (FX’s “It’s Always Sunny in Philadelphia”). RLJE Films plans to release Arizona in theaters this summer. Set in the midst of the 2009 housing crisis, Arizona is a darkly comedic story that follows Cassie Fowler, a single mom and struggling realtor whose life goes off the rails when she witnesses a murder. 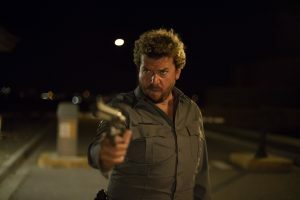 “Arizona” was produced by Imperative Entertainment’s Dan Friedkin (“All the Money in the World”), Ryan Friedkin (“Hot Summer Nights”), Bradley Thomas (“All the Money in the World”) and Rough House Picture’s McBride and Brandon James (“Vice Principals”). Abramorama and GreaterGood.org announced that GreaterGood.org has successfully raised $75,000 for the Love & Bananas Fund that will be used for the rescue of an Asian elephant named Sivilai, and to provide critically needed medical equipment for the Elephant Nature Park sanctuary and for future Asian elephant rescues. 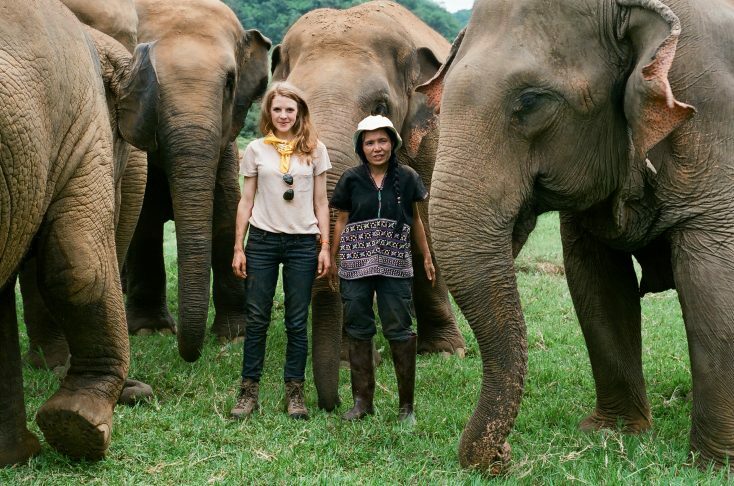 Actress/filmmaker Ashley Bell’s feature documentary “Love & Bananas: An Elephant Story” has left an emotional and heartfelt response amongst press and movie goers alike. Along with world renowned Asian elephant conservationist, Sangdeaun Lek Chailert, the fearless leader behind the movement, audiences across the world are jumping into action to educate themselves and work to save these animals from captivity. GreaterGood.org offers three ways for people to get involved with “Love & Bananas: An Elephant Story.” For more information, visit: www.loveandbananasfund.org.